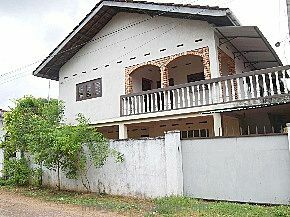 This house is situated in close proximity to Ragama town about 1km, 4km to Negambo Main road. This location is very convenient as all the super market, Banks, restaurants, school, Railway station are close to the location. 30 minutes drive to Colombo city. Although this is two story house it can be used as two apartment as there is no Indoor entrance for Upper floor. Upper floor consists a Living + dinning, 5 bed rooms, 1 attached bathroom, a Balcony, a pantry. Ground floor consists a Living room + dinning room, 4 bed rooms, attached Bathroom, a pantry, a servant toilet.